Since returning to Amsterdam, after a week away in the USA in October, I have found myself within a whirlwind of activity that’s flung my body throughout the entire city for the last six weeks. This flurry of movement by bicycle, tram, or train has defined my every action; as my body jaunted from one classroom, studio, library, or museum, to the next. What has most consumed me since this non-stop agenda began, in November, is the art of the Netherlands–specifically that of Amsterdam. Countless times each week has the Rijksmuseum research library cocooned me; and on infinite occasions have the museum’s silent paintings, welcomed me. I have always been someone who would first tackle the most difficult part of any given task, so that the way forward only becomes more enjoyable, from there on out. This same approach I have applied to my first semester of studying the ‘Dutch Golden Age’, at the University of Amsterdam. I have not been writing about my relationship to the city here, as I most often do. Instead, I have been writing many-many essays about such varied topics as seventeenth century Dutch prints, pamphlets, poems, and of course, paintings; alongside a few essays on the history of Amsterdam. 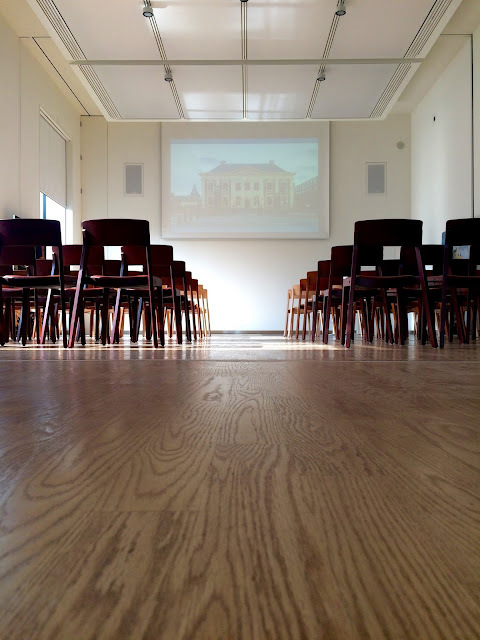 There exists within Amsterdam’s contemporary limits: ‘No Roman remains, no reminder of Charlemagne, no Romanesque churches, not even a cathedral.’ And that’s profound. One of the most resonating quotes I stumbled upon while researching this city, in relation to the houses that line its center rings of canals: 'When walking through the old city center today, one cannot forget it was built by some of the richest people in the world’. Fascinating city this is; I’ve learned, or perhaps I am learning, the history of the city so intently, that I’m now able to quite objective in my opinions of it. Beauty is only its surface. There are many faces to this city, and I’ve been meeting more of them throughout these past few months. With December nearing its mid-point, and the days elongating their darker spans until the winter solstice, a sense of calm has overcome me. Most essays are now completed, and past due. Except for one, that I began today, on Frans Hals and Johannes Cornelisz. Verspronck, and their divergent manners of painting. Who knew the latter used sgraffito, as in Maria van Strijp’s fan? Around this time last year, I found myself sarcastically saying to David: ‘I’ll have you know that the Steenwijck family is quite the name within the world of Dutch church painters.’ And from that moment on, I knew it had begun. The world of seventeenth Dutch paintings. It consumes my time; most of my thoughts. I like that very much. It feels right. And that's very important to me. And so with one essay to go, a trimmed-Christmas tree, and lots of rye-whiskey, the many books I brought back to the Netherlands from the USA, in October–adding 20 new publications on such tangental topics as connoisseurship, Spanish art in the Gilded Age, and Dutch art in America–I welcome nearing winter. Just as I welcome the person that I'm making myself into–as I further define reasons for my intentions, to fuel my actions, and in turn, create possibility, belief, meaning, potential for connection, and purpose in my life. 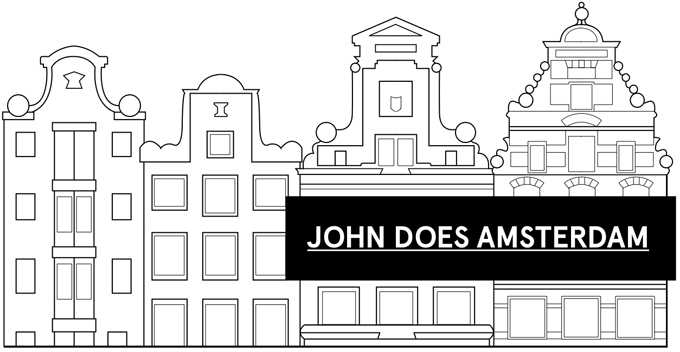 This digital publication chronicles the life of John, within and around Amsterdam. Friday Night Fun. With Cats.